With this meter you can illuminance from fluorescent, metal halide, high-pressure sodium and incandescent sources. Giving units in both Lux and Foot-candles, the M110 is durable, reliable, and easy to use. 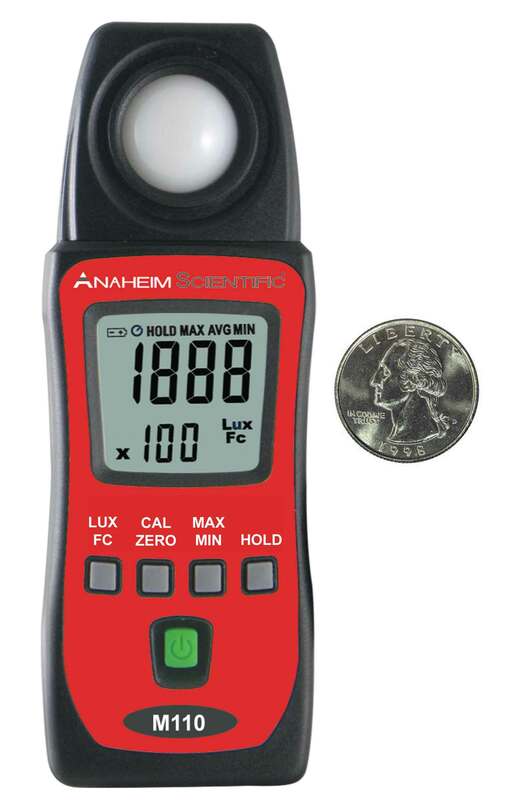 Please click here to contact our distributors directly to find out where to buy the M110: Mini Light Meter.